Whether you’re piling in the kids or hauling foods and goods for a church or holiday event, the Jeep Cherokee has the versatility and flexibility to meet a busy and active life-style. Add an available Jeep® Active Drive II 4×4 system for class-leading 4×4 capability and the 2016 Cherokee Overland becomes the most captivating vehicle in its class. Another stand-out feature on the innovative Jeep® brand cargo management system adds handy hooks and a removable grocery bag holder as well as many available innovative and thoughtful add-on solutions including a first aid kit and pet kennel. Accessories are available from Jeep Performance Parts. A refined, covered top bin is located above the radio on top of the instrument panel for storage of items such as a wallet or phone. 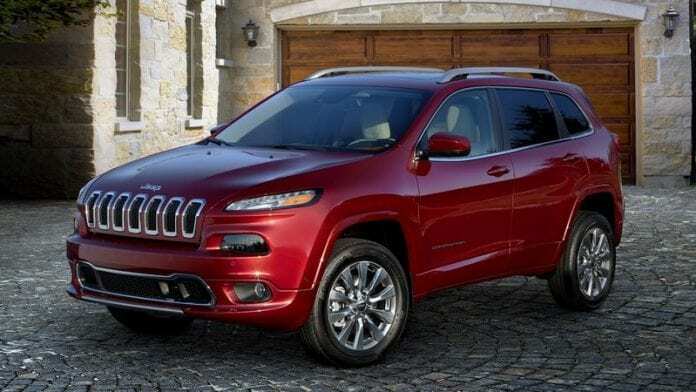 Jeep® Cherokee offers a smooth and comfortable ride, thanks to the front and rear independent suspensions that provide outstanding onroad driving dynamics and a fun-to-drive experience. A speed-sensitive electronic power steering system helps improve efficiency and automatically adjusts for sporty handling on the road or limited effort maneuvering during parking. The Jeep Overland’s Uconnect® 8.4 NAV is a favorite among customers. This advanced technology allows you to stay connected to what mat- ters most–without losing focus on the road.